Hey, ladies and gents! As you can tell, I am quiet new to this forum. Not for a long time, especially with the Backwards Compatibility games they're doing and including functional online services with them. Well since Halo 3 servers are still up I don't think Halo 4's will shut down anytime soon. A good indication of no more support would be if they decide to cut support for the 360 all together. It's just a wild guess, but I would suppose for another four years at least. Post 2020 is getting into the 'When do we shut down xbox live on 360' period. First of all I'd like to welcome you to the forums! Now, I highly doubt they will end most 360 serviced games anytime soon. As some said above, with backwards compatibility, people still playing 360 games, etc etc. That being said, I don't think it will 'end' anytime soon. I see it as a title after title thing. Microsofts big games will be online for quite a bit longer than the lesser known ones. I don't know about these responses at all. Given the fact that Microsoft has updated their Live version and software to reflect the focus of Windows Server 8, I doibt the service for 360 will last beyond tje next year. Basically, the 360 was not designed to support major shifts in networking and thus, the newer service versions will not be compatible. Im gonna call it now and say around GDC 2017, we will be told that 360 service support will be cut off. The challenges queue on Halo 4 360 has stopped populating that's for sure. 343i, can you please repopulate that queue? I'm working on getting all of the Halo achievements and with the challenges queue offline it makes unlocking "The Challenger" achievement impossible. 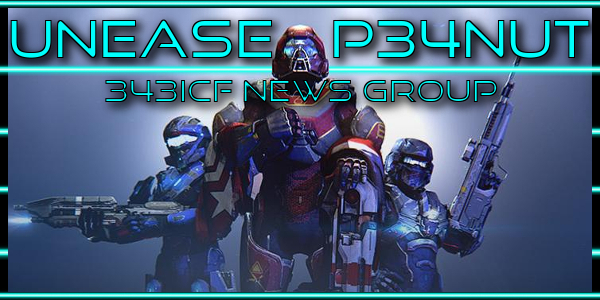 ^^ This isnt a Microsoft or 343 site, we are only a fan forum. We cant help you with server side issues. For direct inqueries to 343, head over to Halowaypoint. Hmm, that does make sense. However, many people still play Halo 4 online. So the soonest would probably either be December-ish, 2017, or up to 2019-2020. But hey, I can't tell the future you know? The Halo 4 file share has been down now for a month or so. Anybody know if it's ever coming back? I don't think it's ever coming back with 343's full focus being on Halo Wars 2 DLC and the next title. Halo 4's fileshare is down again.